Up to 1286, Scotland was a prosperous country with a good king, enjoying friendly relations with England and seemingly had no reason to imagine its impending doom. However, when Alexander III died leaving only a three year-old Norwegian granddaughter, Margaret the Maid of Norway, the country on the verge of a crisis. When Margaret died in 1292 on her way to be crowned at Scone, the country was ready to engage ‘Crisis Mode’, but thankfully, a friendly ally was at hand to help. Unfortunately, that friendly ally was King Edward I of England. He had got on well with Alexander III but was now ready to take advantage of Scottish weakness. He was asked to arbitrate in The Great Cause, determining who should be the next King of Scots. After a prolonged process, he chose John Balliol, which was legally probably the fair decision. Less fair, however, was his subsequent humiliation of Balliol, requiring him to submit and recognise English superiority on numerous occasions until eventually Balliol went to war with Edward in 1296. Unfortunately for Balliol, when it came to military matters, at this time England was superior and Scotland was conquered and Balliol taken into English custody and forced to abdicate. 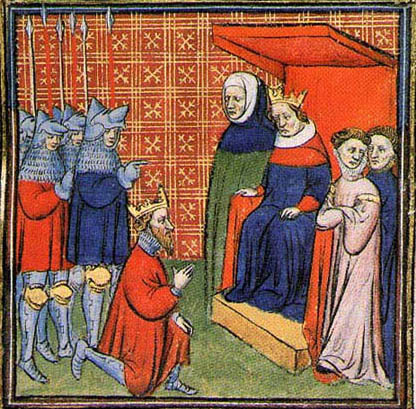 John Balliol submitting to Edward I in 1292 – in 1296 he would hand over the crown jewels! 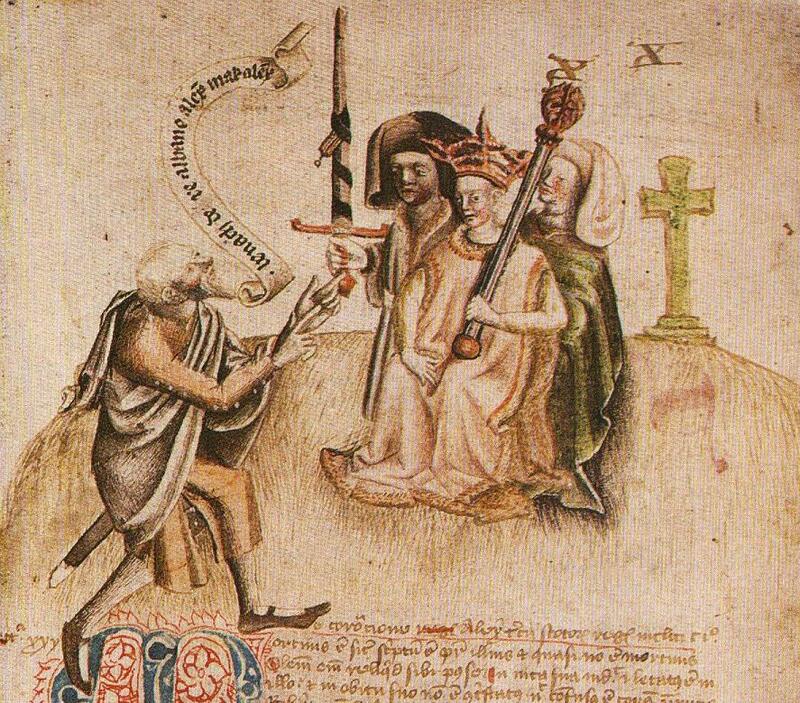 Edward received oaths of fealty from thousands of prominent Scots (nobles, bishops, knights, tenants-in-chief, etc.) in a document known as the Ragman Roll, before heading back to England with a host of Scottish treasure and royal regalia (including the Stone of Scone, or Stone of Destiny, used to crown all previous Scottish kings), leaving John de Warenne (the Earl of Surrey) to rule Scotland as Lieutenant. Scotland, it seemed, was now little more than the northern subsidiary of England. 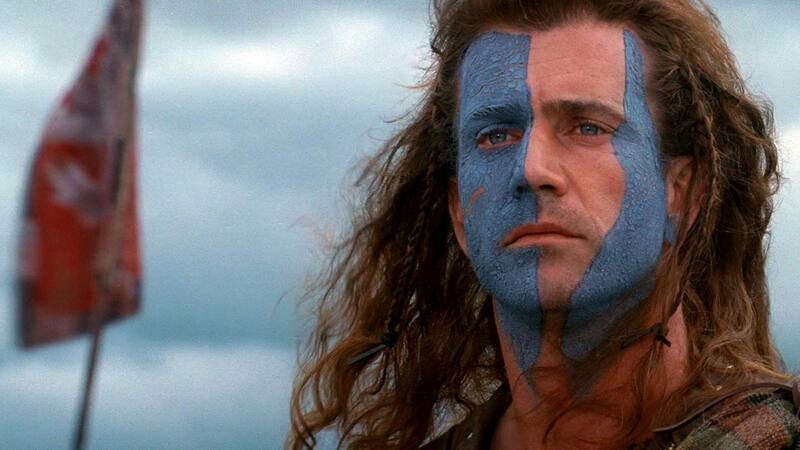 One man whose name was not on the Ragman Roll was William Wallace. For many years, the most influential source for Wallace’s life was a 15th century epic poem called The Wallace written by Blind Harry (not, despite the name, a jazz musician), which is wildly patriotic and often quite dubious in terms of historical accuracy (many of the inaccurate scenes in Braveheart actually appear in this poem!) He was probably born in around 1270 and is described by Walter Bower as being “a tall man with the body of a giant”. 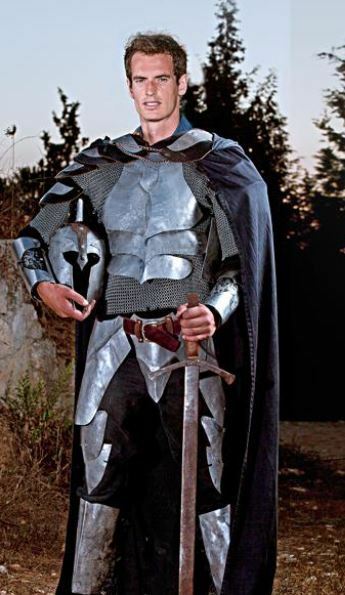 He was one of 3 brothers (not the oldest) in a family of the lower gentry, and as such was probably well educated and would have been taught to fight. Some have suggested that he was a mercenary archer for Edward I’s wars against the Welsh but the evidence for this is rather circumstantial and requires a few leaps into the archival dark to be made true. In terms of being a significant figure in Scotland, Wallace pretty much appears from nowhere in 1297 when the Scots began to resist the oppressive presence of the English. Small uprisings occurred across the country but Wallace’s was the first to really have an impact when he killed William Heselrig (the Sheriff of Lanark) with a small band of supporters. This inspired uprisings across Scotland but not everyone enjoyed the same success as Wallace. The Scottish nobles (Robert the Bruce, James Stewart, William “The Hardy” Douglas) argued amongst themselves and submitted to an English army without actually even fighting a battle (an embarrassing encounter known as the Capitulation of Irvine). The English seem to have been rather complacent after the surrender of the nobles, but Wallace was still at large with an expanding force based around Selkirk forest. He was also not alone, as in the north of Scotland one Andrew Murray (not, as far as we know, a tennis player) had enjoyed great success so that now the only castle still in English hands north of the Forth was Dundee. Wallace and Murray joined forces to besiege the castle, which finally spurred the reluctant English Lieutenant of Scotland (John de Warenne) to raise an army and deal with the problem. The two forces met at Stirling Bridge (the key to accessing northern Scotland) where the English suffered a humiliating defeat, with thousands of soldiers killed and de Warenne forced to flee. Sadly for the Scots, Andrew Murray was either killed in the battle or died soon afterwards. However, William Wallace was now recognised as the hero of the hour and was knighted and appointed Guardian of Scotland – essentially, he was now in charge of Scotland until such a time as the old king (John Balliol) might return. Wallace knew that the English would respond but it was difficult to keep an army in the field for months at a time so he went on the offensive and launched a devastating raid into northern England, winning more renown in Scotland and notoriety in England, as well as lots of plunder. Unfortunately for William Wallace, the good times were about to end. 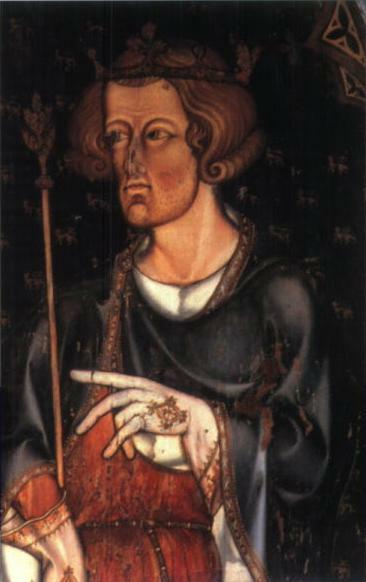 Part of the reason for the ineffective response by England was that Edward I was busy fighting France and dealing with a grumbling nobility at home. The shock of the defeat at Stirling saw Edward return and the court united. Edward raised an army and marched into Scotland in 1298 where after a difficult campaign he managed to force Wallace into battle at Falkirk. The Scots were defeated and though Wallace escaped, his reputation was damaged and he resigned as Guardian to be replaced by John Comyn and Robert the Bruce. At this point, Wallace largely disappears from the records. The Scots pursued a diplomatic war against Edward, winning the support of the French and then the Pope, with Balliol being released into papal custody and the prospect of his returning to Scotland seeming increasingly realistic. Wallace is said to have gone into exile in France in 1299 and may have been part of these negotiations – he certainly met and impressed King Philip VI, who in 1300 sent men to Rome to obtain “the Pope’s favour for his beloved William de Walois”. He also received a letter of safe conduct for Norway, though whether he took advantage of this is unknown. It is likely that in the 1300s he returned to Scotland, as the war was turning in Edward’s favour. The French suffered a shock defeat to Flemish townsmen in the Battle of Courtrai in 1302 at the same time as a major dispute between Philip and the Pope, leading to both men seeking to win back the support of Edward I. Edward was thus freed to invade Scotland once more and embarked on a major campaign in 1303. It is possible that Wallace returned to resume his fight against Edward, but if so he did so as a small-scale guerilla fighter, as John Comyn led the Scots and negotiated a lenient peace treaty in 1304. However, Wallace was not party to this treaty and indeed Edward refused various leading nobles the right to return to Scotland from exile until Wallace had either submitted or been captured. He remained at large for some time (despite a hefty reward) but was captured at Robroyston (near Glasgow) in August 1305 and taken to London. Wallace had become the personification of English nightmares in the last decade and there was great public excitement at his trial in Westminster Hall. He was charged with atrocities against civilians and treason, though he denied the latter saying “I could not be a traitor to Edward, for I was never his subject”. This was only a show trial, however, and Wallace was found guilty and on the 23rd of August 1305 was taken to the Tower of London, stripped naked and dragged by horse to Smithfield where he was hanged, drawn & quartered (his heart & bowels were removed and burnt before him), after which his body was quartered and sent to Newcastle, Berwick, Stirling and Perth while his head was preserved in tar and placed on top of London Bridge. His big victory came at the Battle of Stirling Bridge on 11 September 1297. The Scottish nobles had submitted, but Wallace and Murray continued to resist the English. The reluctant English commander, John de Warenne, led his troops to Stirling, which as the only effective crossing over the Forth was strategically crucial for gaining access to northern Scotland. Unfortunately, the bridge was so narrow that only two horsemen could cross abreast, meaning it would take hours for the whole army to cross. Wallace and the Scots waited until a good number had crossed and then charged, blocking the entrance to the bridge and surrounding and massacring those soldiers who had crossed. Rather alarmed by the situation, de Warenne ordered the bridge to be destroyed and then beat a hasty retreat. 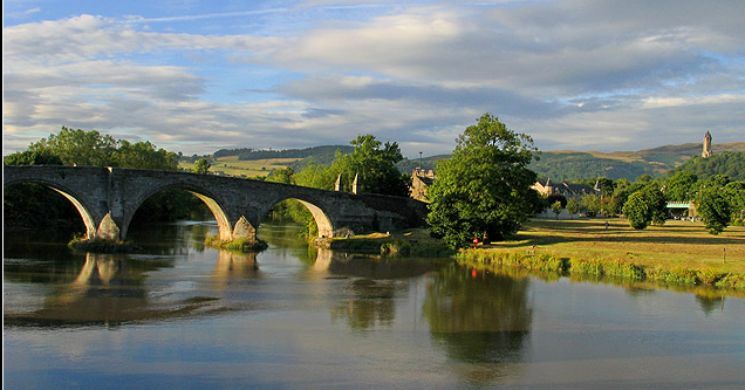 Stirling Bridge was a magnificent and unexpected victory against a much more powerful force, and Wallace knew that Edward I would soon come north for revenge. So, to keep his army well fed without causing problems to Scottish farmers, Wallace led raids into Northumberland and Cumbria in northern England, pillaging numerous villages and taking supplies north. It was a long time since Scottish forces had dared venture so far south. Arguably, Wallace is rather fortunate to enjoy such plaudits for the victory at Stirling Bridge. Rather forgotten by history has been Andrew Murray, the son of a northern landowner who was a trained knight (unlike Wallace) and restored all of the north to Scottish control. They joined forces and fought together at Stirling but Murray was killed in the battle and consequently Wallace has enjoyed all the praise of history. The fact that Murray was a trained knight (and that Wallace never enjoyed another victory) could imply that Murray the more effective rebel leader who deserves the credit for the victory. Indeed, Wallace’s next battle was a very heavy defeat at Falkirk in July 1298. He had benefited from the absence of Edward I at Stirling, but now the mighty English monarch was present with a vast army packed full of Welsh longbowmen. Wallace, sensibly, sought to avoid bought, instead sucking Edward further into Scotland and stretching his supply lines. The tactic almost worked, with Edward preparing to retreat to Edinburgh, but an English scouted spotted Wallace’s army (perhaps venturing too close in preparation to harry the retreat), and a delighted Edward set straight off for battle. The Scots were heavily outnumbered, while the flight of the Scottish cavalry early on without engaging left the archers and infantry fatally exposed. Despite hard-fighting from Scottish schiltrom (a sort of shield wall but with long pikes instead of shields), it was a heavy defeat and Wallace was forced to flee, his moment in the spotlight over. 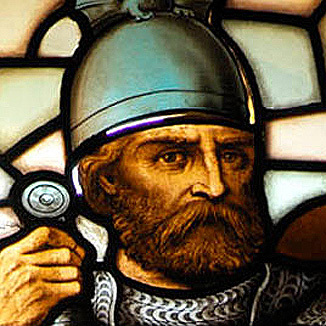 Wallace was clearly a highly capable soldier and an inspiring leader, responsible for one of the great military victories in Scottish history and a shock defeat for the supposedly mighty English army. His follow-up raiding into northern England showed he knew how to maintain an army and he was unlucky that his guerilla tactics came undone at Falkirk. However, the defeat at Falkirk was comprehensive enough to prevent him from getting a top score as ultimately his success in battle was only fleeting. He was also criticised for his brutal raids into northern England – something like 700 villages were fired and plundered, with Guisborough stating that “the services of God totally ceased” between Newcastle and Carlisle as everyone fled for their lives. Indeed, while Wallace rejected the charge of treason at his trial he did not object to the accusation of committing atrocities against civilians. The violence is pretty nasty for Wallace, but there is no one moment or event to really echo through history, nor juicy scandal to keep the tabloids happy. Despite his capacity for excessive violence, Wallace was not without his virtue when it came to the arts of statesmanship. His achievement in rising from total obscurity to Guardian of Scotland is truly remarkable and he was potentially a unifying figure as a non-royal without radical ideals (indeed, he fought for the restoration of John Balliol) at a time when the two most senior nobles (Bruce and Comyn) were effectively enemies. What’s more, he seems to have had a good go at governing. He wrote to the mayors and communes of Hanseatic towns to promote Scottish trade and appointed the highly capable William Lamberton as the Bishop of St Andrews. After his Guardianship, he went to the Continent and clearly made a good impression of Philip IV of France, who sent men to Rome with a message that they should promote his cause. It is even possible that Wallace himself went to Rome and became a notable figure on the international stage continuing to campaign for Scottish independence. It is very romantic to imagine Wallace in exile undertaking covert missions to Paris and Rome in support of Scotland but it is likely that his real role has been exaggerated. The Scots sent a highly capable diplomatic mission led by Lamberton and Baldred Bisset (effective diplomats and legal experts) so it is dubious that Wallace had much to offer other than for symbollic purposes. Indeed, it may have suited Bruce & Comyn to have had him out of the way and his return and continued fighting from 1304-05 was potentially something of an irritant once Comyn had secured peace on good terms. There is evidence that Wallace was a capable leader around the negotiating table as well as on the battlefield, but in both cases his role was only fleeting. The romantic ideal of the man of the people also clashes somewhat with his rather harsh conscription tactics and the reality is, this was not a great time to be going about your daily life in Scotland, particularly when Wallace was still fighting his guerilla wars after peace had been agreed. Of course, Wallace was never actually king, but if we use his period as Guardian then he ruled from roughly September 1297 to September 1298 – a reign of one year which gives him a score of 0.5/20. We don’t know whether or not the English murdered Wallace’s great love, but it is certainly the case that he did not have any children. So, with a 0 for Dynasty, that takes William Wallace’s total score to a fairly unimpressive 26. William Wallace was never actually King of Scots, so he is not eligible for the full Rex Factor, but does he deserve an honorary Rex Factor? When comparing the reality to the mythology, perhaps he has been over-egged – he only had one big victory, which may have been due to Andrew Murray as much as Wallace, and he was only significant for a fleeting period before suffering a heavy defeat at Falkirk. If anything, his legend is as much due to the harsh execution imposed by Edward I as it is what Wallace did. 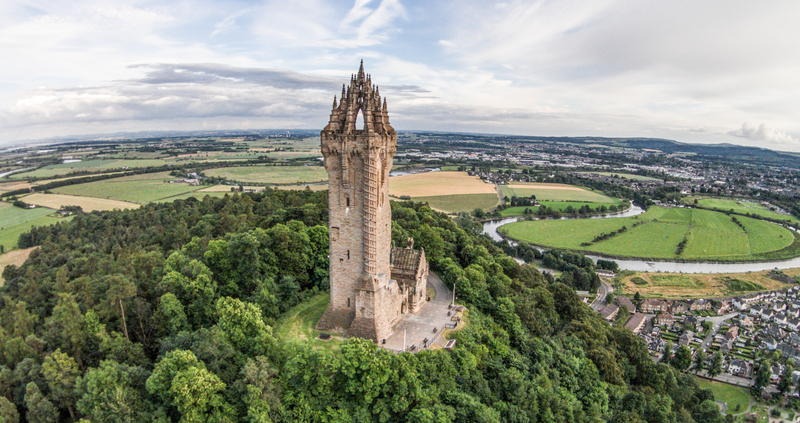 However, although only one battle, the Battle of Stirling Bridge is one of the great victories in Scottish victory, and Wallace must have had a key role even if he shared leadership with Murray. His rise from obscurity to be Guardian of Scotland is truly remarkable and while he ceased to be at the centre of affairs after Falkirk, he clearly continued to have great adventures and was sufficiently galling a foe for Edward I to become rather obsessed with bringing him to justice. Our Verdict = yes, William Wallace had that certain something, a great achievement and a lasting legacy, he deserves the (honorary) Rex Factor! 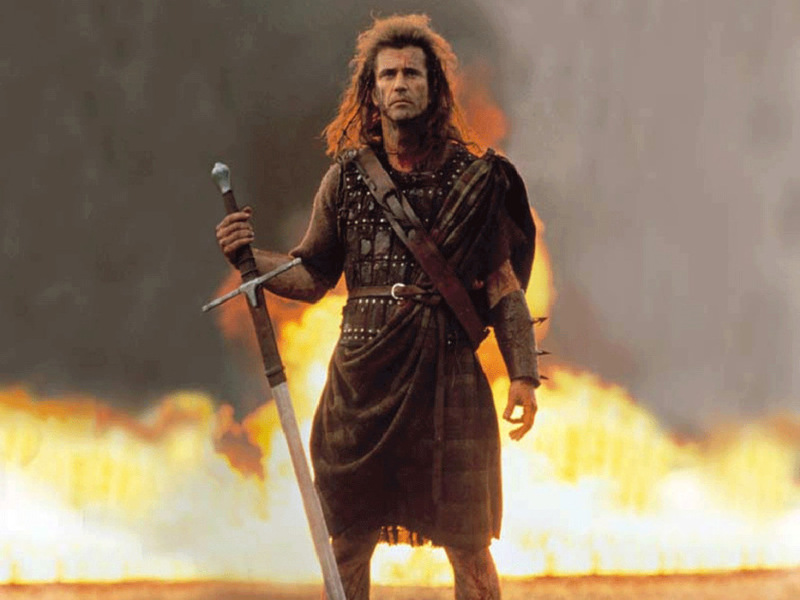 This entry was posted in Biography, Podcast, Scotland and tagged Andrew Murray, Andy Murray, Battle of Falkirk, Battle of Stirling Bridge, Braveheart, Edward I, Guardian of Scotland, Hugh Cressingham, John Balliol, John de Warenne, Mel Gibson, William Wallace by rexfactor. Bookmark the permalink.